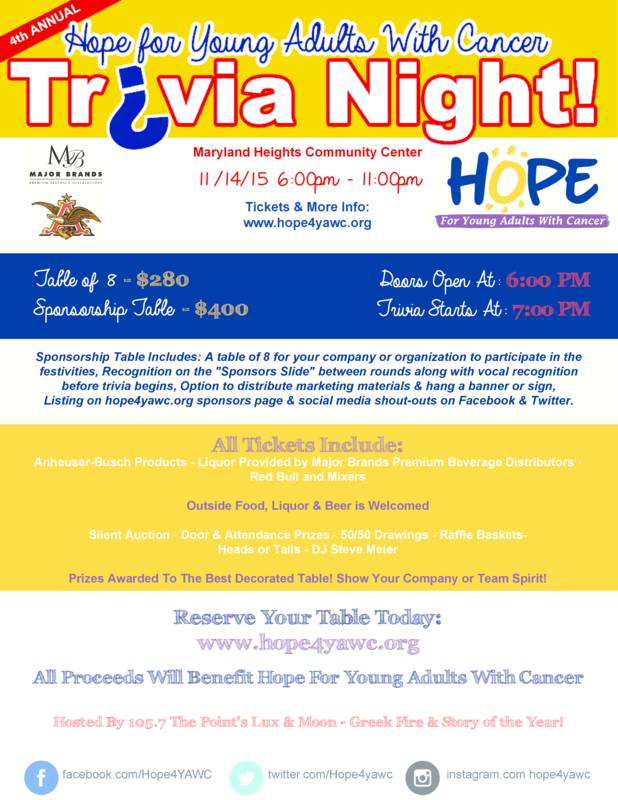 Join Us on Saturday November 14, 2015 for the 4th Annual Hope For Young Adults With Cancer Trivia Night at the Maryland Heights Community Center 2344 McKelvey Rd, Maryland Heights, MO 63043. Outside Food, Liquor & Beer is of Course Welcomed as Well. Door & Attendance Prizes Plus 50/50 Drawings, Raffle Baskets & Heads or Tails. Prizes Awarded To The Best Decorated Table! Show Your Company or Team Spirit!